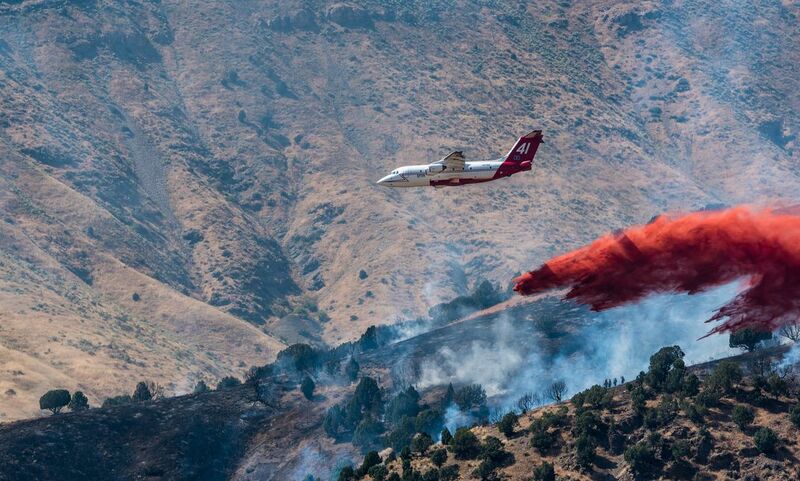 Neptunes BAe-146 drops 3,000 gallons of retardant. Note wildland firefighters look very close to the drop zone. Date Uploaded: Oct. 31, 2016, 1:01 p.m.